﻿ João Pinto: "Cristiano Ronaldo is the best there is, technically and physically"
01.12.2011» João Pinto: "C. Ronaldo is the best there is, technically and physically"
In an interview granted to Goal.com, João Vieira Pinto talked about Cristiano Ronaldo and not only praised him as he also defended him from a few unfair critics he often receives. João Pinto noted that Ronaldo carries an entire Nation hopes on his shoulders, but he's confident that CR7 is the right man to lead the Portuguese National Team to glory. The former Portuguese player, João Vieira Pinto, is now 40 years old, and a football commentator in a Portuguese TV network (TVI). João Pinto had the chance to follow Cristiano Ronaldo's first steps in professional football very closely, since they both shared Sporting CP locker room, in the 2002-03 season. Ronaldo played 31 games and scored 5 goals on that first season, and everyone was immediatly aware that such a special talent was destined to bigger stages. 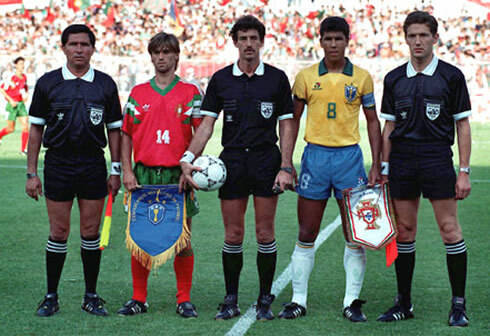 João Pinto, who is also known for his incident in the 2002 World Cup held in South Korea and Japan, where he hit the Argentinian referee, Ángel Sanchez, in a match between the Portuguese National Team and the hosts South Korea, never had the world-wide recognition he probably deserved, since he spent most of his career in Portuguese clubs. However, he certainly knows what it takes to triumph in football and he had nothing but complimentary words when he was asked to talk about Cristiano Ronaldo. João Pinto: "Cristiano Ronaldo has a wide set of abilities that very few players out there possess, both physically and technically. He is forced to carry a big burden on his shoulders since people are always expecting that he does something unique and special every game. It's more than natural that he can't always perform at his best, but the way he has been succeeding and making the difference in both Real Madrid and the Portuguese National Team is just remarkable", pointed out the former Benfica and Sporting CP player. Despite Cristiano Ronaldo undeniable improvement in continuously putting great performances on the pitch, the Portuguese player keeps being attacked and criticized everytime things don't go his way. João Pinto defended his countryman and sees no reason to question CR7's talent or dedication: "Ronaldo is human, so it's perfectly natural that he has good and bad games, but he gets a lot of critics when things don't go the way he wants. In my opinion, those kind of comments and remarks are not fair or justified. He truly is an amazing player." 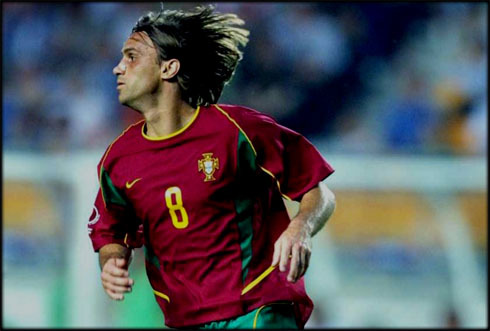 When it comes to choose the best Portuguese player of all-time, João Pinto finds it hard to point a single name. João Pinto: "There have been several great Portuguese players over the last years, so it's not easy to point just one name. I'm aware that many people still claim that Eusébio was the greatest of all-time, but I've only watched him playing in video tapes." João Pinto: "Luis Figo for example, was a very intelligent and smart player, with who I played with in the Portuguese National Team. 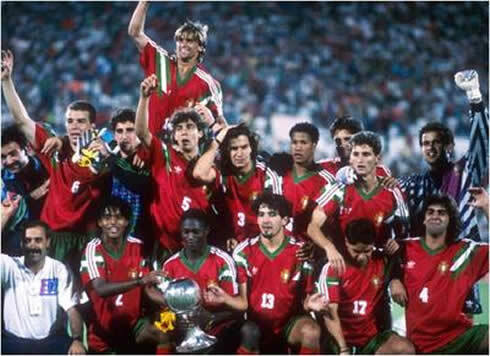 I've also had the chance to play with Cristiano Ronaldo, when he was just starting his professional carrer at Sporting CP, and both him and Figo were tremendously good and terrific players. 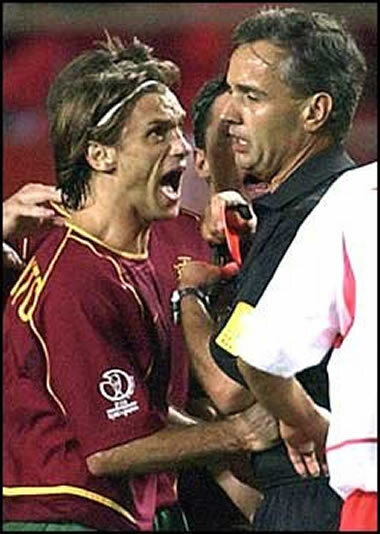 There's still another one, who people seem to forget when talking about this topic and that's Paulo Futre. He had a very unique way of playing." Real Madrid next scheduled match is against Sporting Gijon, for "La Liga", on the 3rd of December, 2011. Cristiano Ronaldo, who missed the last two Real Madrid practice sessions this week, after suffering an injury against Atletico Madrid, is still in doubt for this weekend's game. This Saturday you can watch Aston Villa vs Manchester United for the English Premier League, but also Sporting Gijon vs Real Madrid, as well as Barcelona vs Levante, both games for the Spanish "La Liga". They are all available from our soccer live streams section and you can check how much time is left for the next Cristiano Ronaldo game, by looking at the countdown timer, placed on the top right corner of any page.